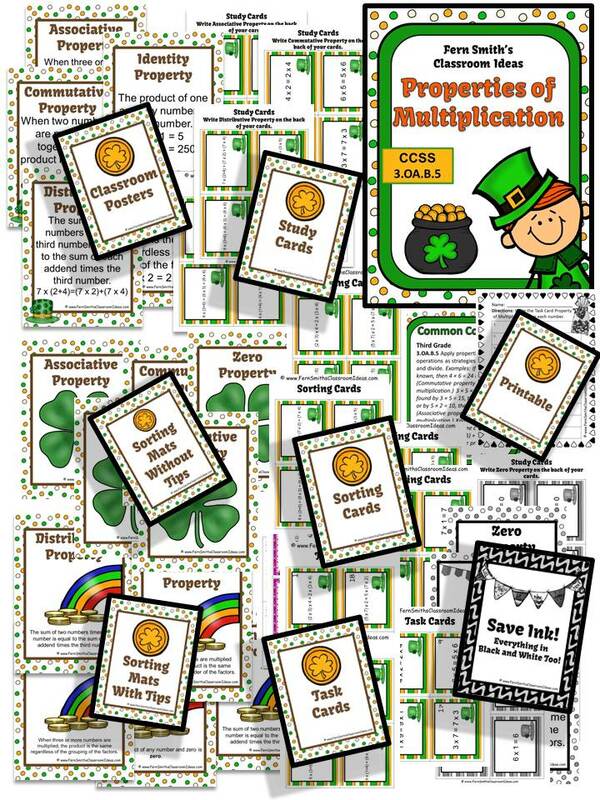 St. Patrick's Day Properties of Multiplication Math Pack - Fern Smith's Classroom Ideas! Task Cards and the matching printable for your math center! The Free Preview Includes a FREE Math Center Sign and Poster for YOU!